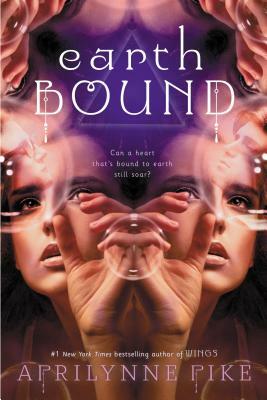 Aprilynne Pike’s latest novel Earthbound is a fantastic beginning to what is sure to be a great series. Tavia is hiding-out with her aunt and uncle after being the only survivor of plane crash. She lost both of her parents and is now just trying to piece her life back together. On the plus side, she met a cute boy at the library who seems to be the only one pulling her out of her haze of grief and recovery. Things are starting to go back to normal – whatever that is – until Tavia starting seeing a mystery boy who is dressed in clothes dating back to the 1800?s. However all of this is only the beginning of “strange new occurrences” for Tavia and before long she and Benson, her library boy, are fleeing from her aunt and uncle. #1"New York Times"bestselling author Aprilynne Pike has created a heart-stopping romance built on a love triangle like you ve never seen before and filled with epic stakes and a centuries-long conspiracy. Give it to fans of "Beautiful Creatures "and"Nightshade." Tavia Michaels is the sole survivor of the plane crash that killed her parents. When she starts to see strange visions of a boy she's never spoken with in real life, she begins to suspect that there's much about her past that she isn t being told. Tavia immediately searches for answers, desperate to determine why she feels so drawn to a boy she hardly knows. But when Tavia discovers that the aunt and uncle who took her in after her parents' death may have actually been responsible for the plane crash that killed them--"and that she may have been the true intended victim"--she flees for the safety of Camden, Maine, where the boy she sees in her visions instructs her to go. Now, Tavia is on the run with no one to trust. "No one, that is, except for her best friend and longtime crush, Benson." Tavia feels torn between the boy who mysteriously comes to her at night and the boy who has been by her side every step of the way. But what Tavia doesn't know is that "the world is literally falling apart "and that to save it she will have to unite with the boy in her visions. Only problem? To do so would mean rejecting Benson's love. And that's the one thing Tavia Michaels swore she'd never do. Aprilynne Pike (www.aprilynnepike.com) is the #1 "New York Times" bestselling author of the Wings series. She has been spinning stories since she was a child with a hyperactive imagination. When not writing, Aprilynne can usually be found out running; she also enjoys singing, acting, and (of course!) reading books about magic and kissing. Aprilynne lives in Arizona with her husband and four kids.